The improving 4-y-old ART AND WHISKEY was an impressive winner today at Sale for Delbridge Racing and his large group of owners. After settling at the rear of the field he powered to the lead around the home turn and held on well for a narrow but decisive win. 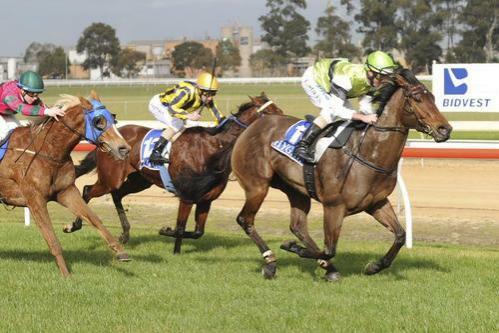 The lightly raced son of Niello, ART AND WHISKEY (seen winning with Black Caviar's jockey Luke Nolen aboard earlier in his career) has returned to racing in great fashion with one win and two thirds from only 3 runs this time in. His trainer Grant Craven said "the horse is very sound and maturing and has the ability to continue his winning run in the right class races over the next few months." Prominent owner Bob Pender was impressed with the win "Grant has him racing really well this time in and it was a good ride from jockey Dean Holland to get him home. It was a great win."